This shawl is inspired by Ayane, the main character in the fairy fantasy book Ayane und das Geheimnis der Glückselfen by Ann-Cathrin May (my daughter). There will be more books in the Glückselfen Saga. The faeroese style shape assures that the shawl lies on the shoulders safely and will not slip down. 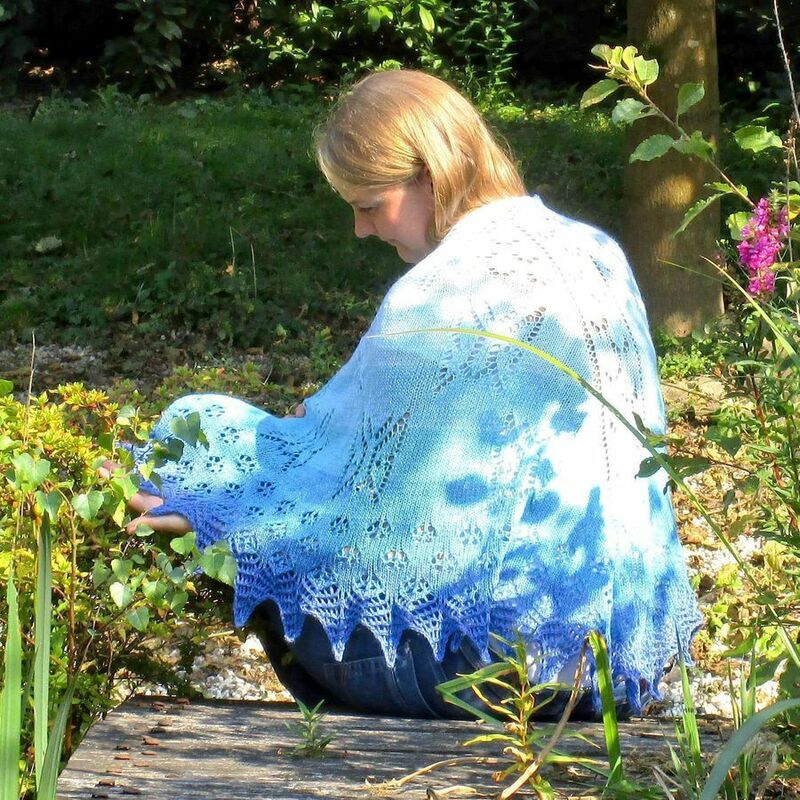 The shawl can be adjusted to any size, either by knitting one or more rows of large butterflies or by increasing or decreasing the number of rows of blossoms above the lace edging. The lace edging itself can also be modified. So you can choose to make it just the way you’d like it or until you run out of your chosen yarn. This pattern contains charts as well as a written pattern of the charts for every single row. It contains 35 pages in total, you find detailed instructions how to knit this shawl. So it is even suited for an ambitious beginner. Special stitches are explained. Advanced knitters might use pages 1 to 13, including the knitting charts. The squares of the charts are adjusted in size, so you can print them and glue them together. Beginners will find each row as a written pattern to knit the shawl stitch by stitch on the following 12 additional pages. On the final 10 pages, you will find the knitting charts in maximum size for standard print out paper.